While working in corporate America, David Willis witnessed the uncertainty that comes with being an employee instead of an owner, particularly in the banking segment. 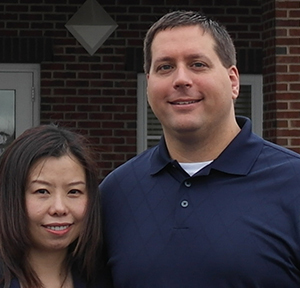 He says “I was looking for a financial investment that could provide ongoing income to sustain our family for the long haul.” As a result, David chose to purchase real estate and build an all-new location with support from Kiddie Academy’s Real Estate and Construction teams. Over the last several years David and his academy have won several awards, including Community Leadership, Sales and Customer Service, Best Practices: Character Education, Best Practices: Developmentally Appropriate Curriculum, Best Practices: Health and Fitness and Best Practices: Technology Education.